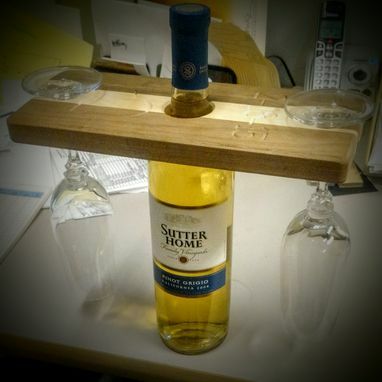 custom made table top wine bottle and glass holder. 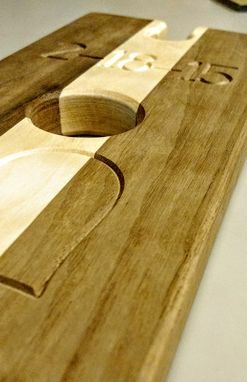 These holders are CNC machined out of premium hardwood. 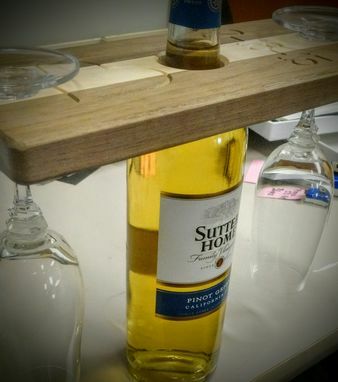 We also offer the ability to have the wine holder engraved. 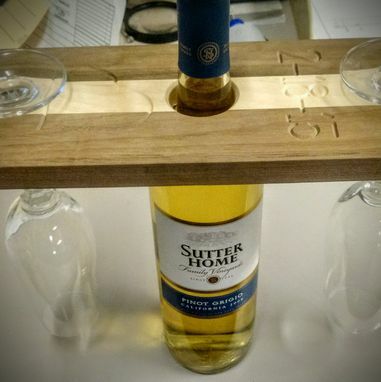 great for a gift for a friend!